Shetland has been listed as one of the top regions in the world to visit in 2011. Lonely Planet’s Best in Travel 2011 singles out the "last untamed corner of the UK" for special praise, advising "adventurous travellers to step this way". If you come to see Shetland for yourself (and we very much hope that you do), please do remember to schedule a visit to Fetlar. 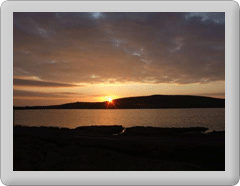 Read more about everything we have to offer at our Visit Fetlar pages.